Check out my Baby's big box of little books posts! 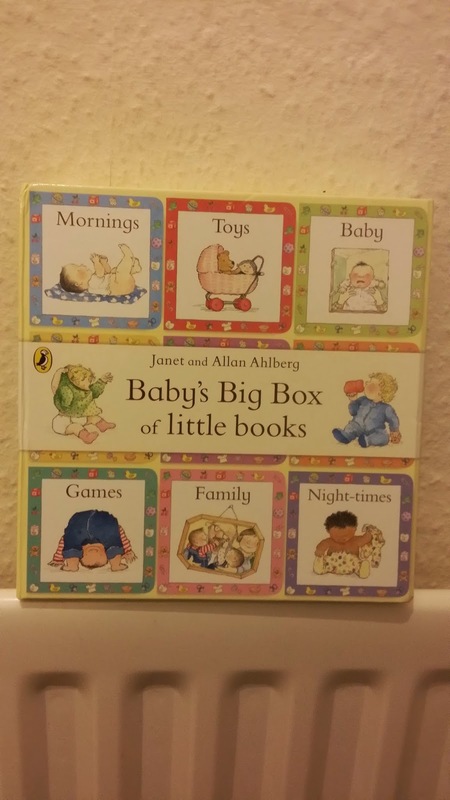 I have been really looking forward to telling you about this set of baby books from Janet and Allan Ahlberg. 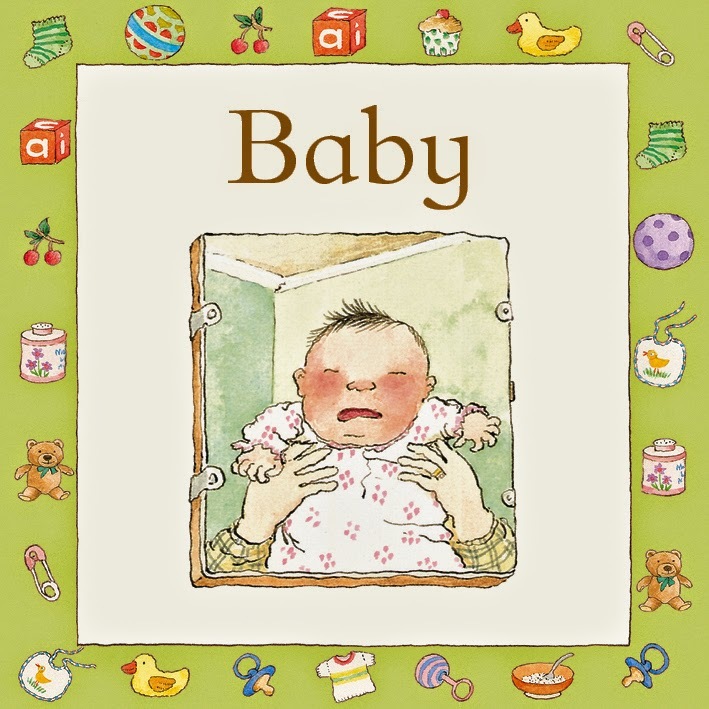 The Baby's Catalogue a classic picture book which Baby's Big Box of little books happens to be adapted from. Baby's Big Box of little books is a collection of nine cute and adorable illustrated board books enclosed in a beautiful sturdy box. Aimed at children from ages 0-2, each book is centered around baby and toddler familiar items and activities which they would regularly involve in on a daily basis. and each consist of five pages. These books contain pictures and words of a lot of fascinating things and activities not new to babies and little children. 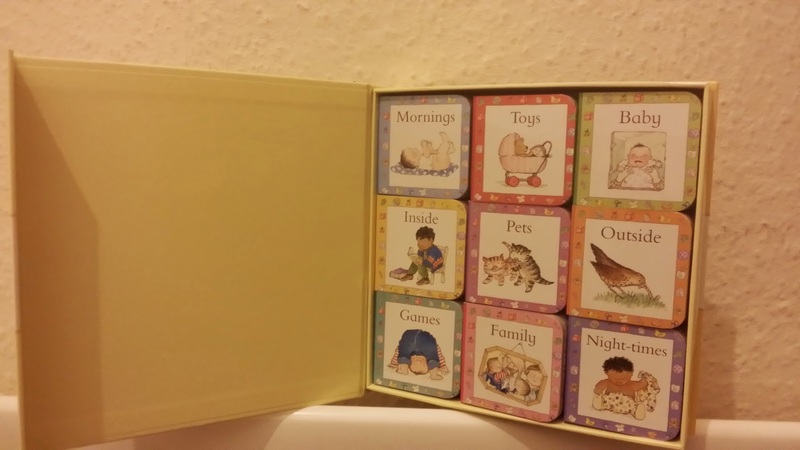 For me this little cute box of books is just right to help them get through their day in the most enjoyable and pleasant way. I think these books were individually designed to apply to different times of your little one's day. From mornings to night times, pick up one of these books and you are on to an enjoyable and engaging reading session or if you prefer , a great conversation or story telling time with your baby. 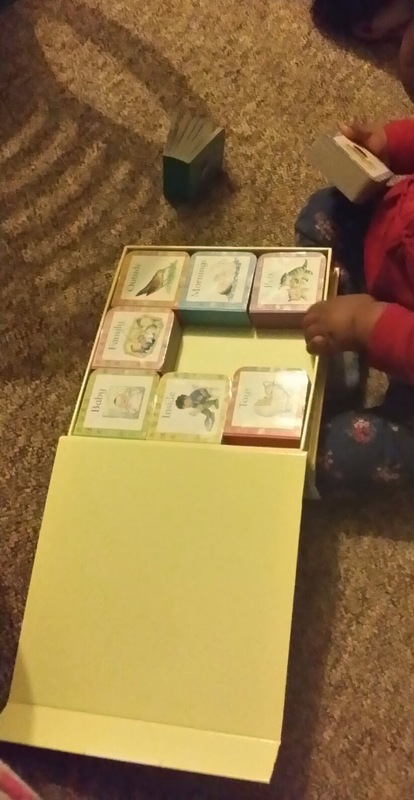 Each book effortlessly weighs next to nothing so baby is able to not only hold but can also flip through each page which contains words and matching pictures. The good thing about these books is that, it allows you to get imaginative about things to talk about with baby and little ones, each word and matching picture gives you fresh ideas for a new story and of course you can make up your stories as you flip through each page. My 10 month old, Baby Ella is at that stage where babies enjoy exploring and trying on new things. It might sound weird but I sometimes wonder how boring it must seem sometimes for babies. With these books, I am definitely looking forward to having sweet conversations with her and it definitely does not seem like I would run out of things to talk about very soon! If you ask me, I think its not just fun reading but its is also a great start to learning for babies and toddlers, as they catch on new words and of course they can identify with pictures of items and activities they know. Don't we all know one little person who would absolutely love this book? please click HERE to purchase from Amazon or HERE to purchase from Waterstones. Thank you to the team at Puffin Books for sending me a copy of Baby's Big Box of little books for review purposes. Opinions expressed are solely my own.